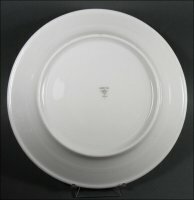 Home » MADDOCK Pottery » Loraine Hotel Plate, Madison, Wisc. 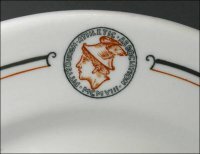 Loraine Hotel Plate, Madison, Wisc. The Hotel Loraine was built in 1923 by Walter Schroeder, whose hotel holdings at one time totaled nine in Wisconsin, Minnesota, Michigan and Indiana. The Loraine was located in Madison, Wisc. The hotel was completed in 1924. After going out of business as a hotel in the late 20th century and serving as office space for various Wisconsin state government departments, it was converted to luxury condominiums and is now known as the Loraine Condominium Homes. The Loraine was added to the National Register of Historic Places in 2002 and the condominiums were featured on HGTV’s “What You Get for the Money” - $1 million episode. 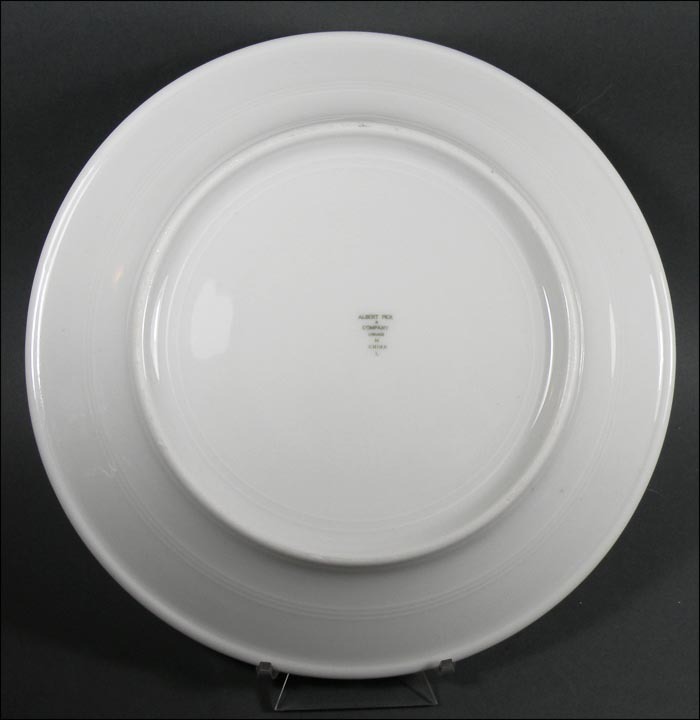 The plate, made by Maddock Pottery around 1924, is likely part of the hotel’s first order of restaurant ware. 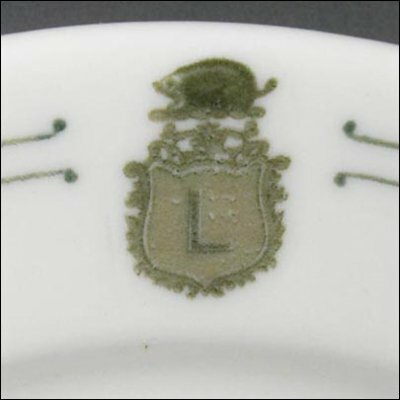 Its crest carries a capital L – for Loraine – and most important, the badger, which is Wisconsin’s state mammal. 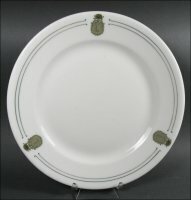 It is excellent condition and 9 ¼” across. Bright and shiny, it has some light, or light-to-medium, use marks and a few minor manufacturing flaws on the unglazed foot. A handsome plate from a historically important hotel!